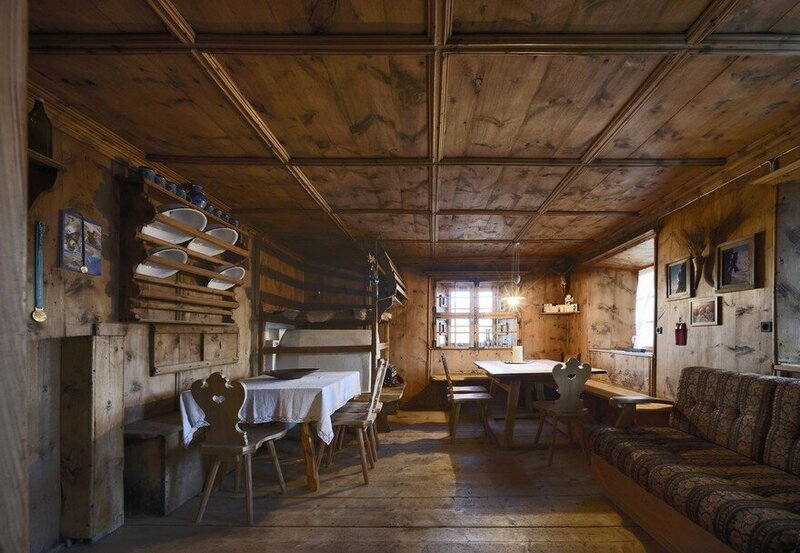 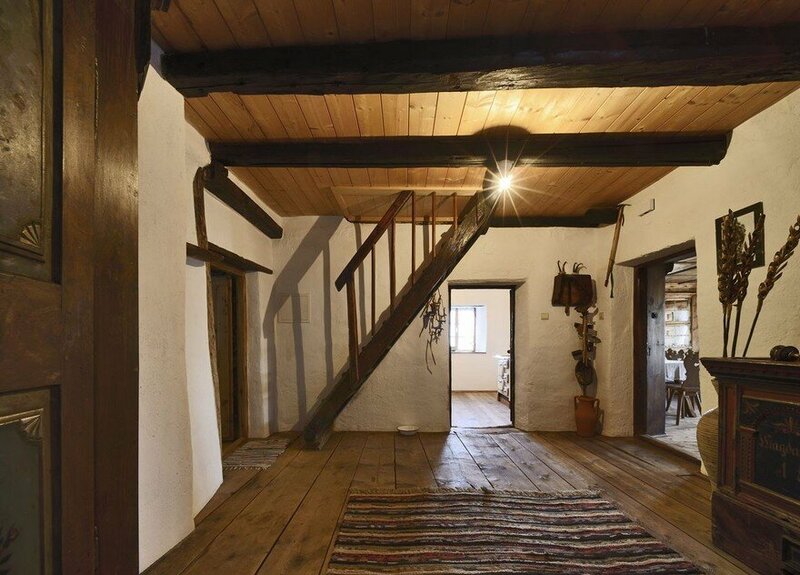 The young owner who bought the Felderhof farmstead was conscious of its unique nature from the very beginning. 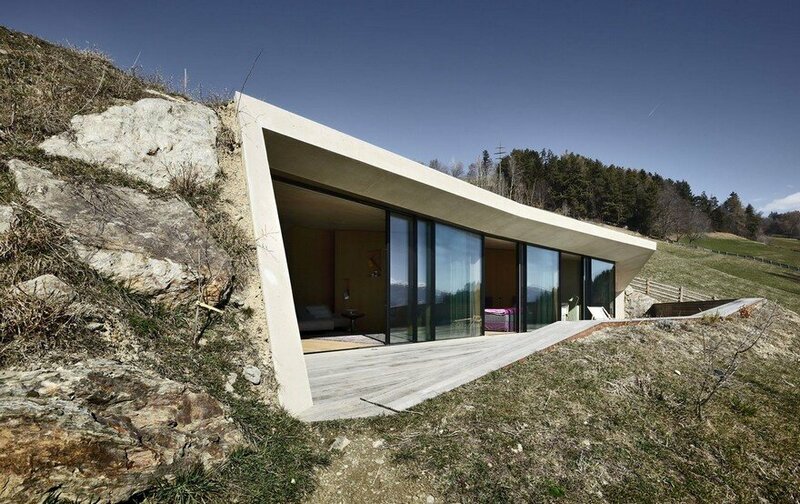 The ensemble, consisting of two uniform structures, was built slightly offset and in accordance with the hillside profile. 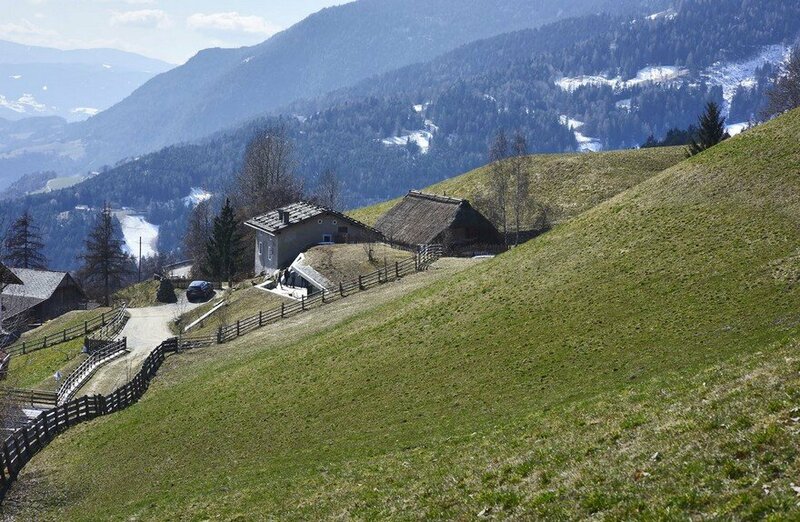 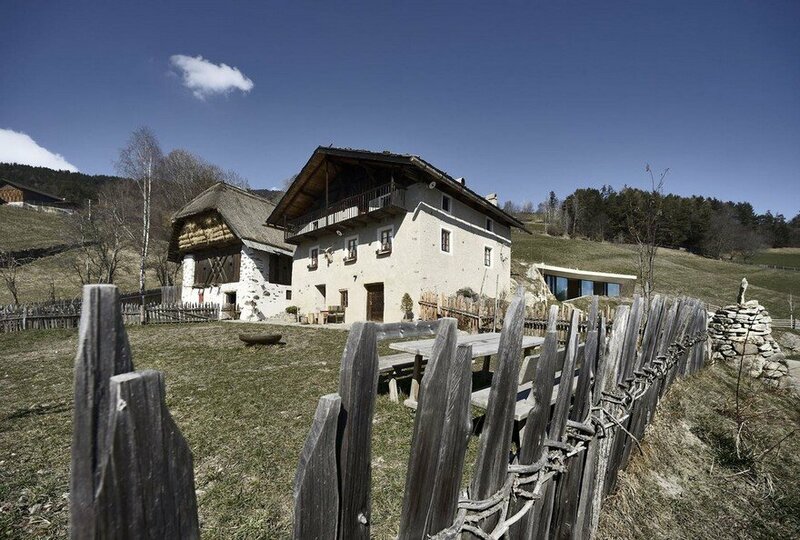 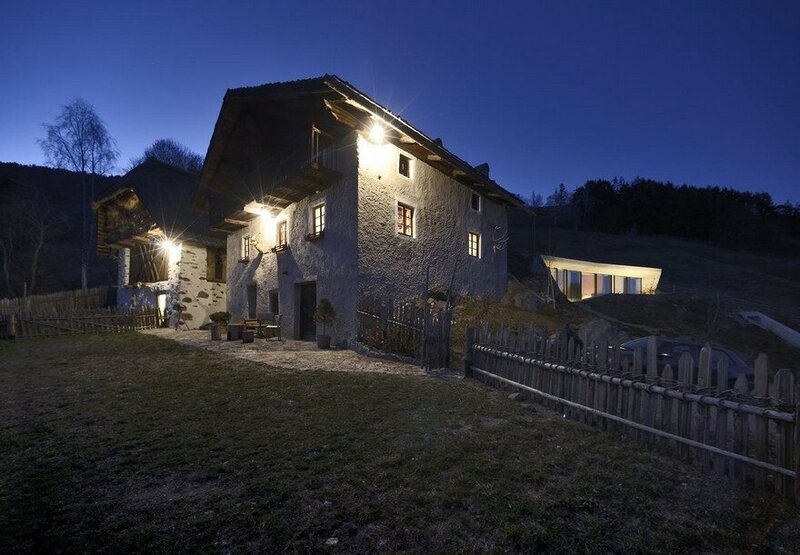 Preserved in pristine condition, it is a prime example of the ‘pair farmstead’ typical of the slopes of the Eisack valley. 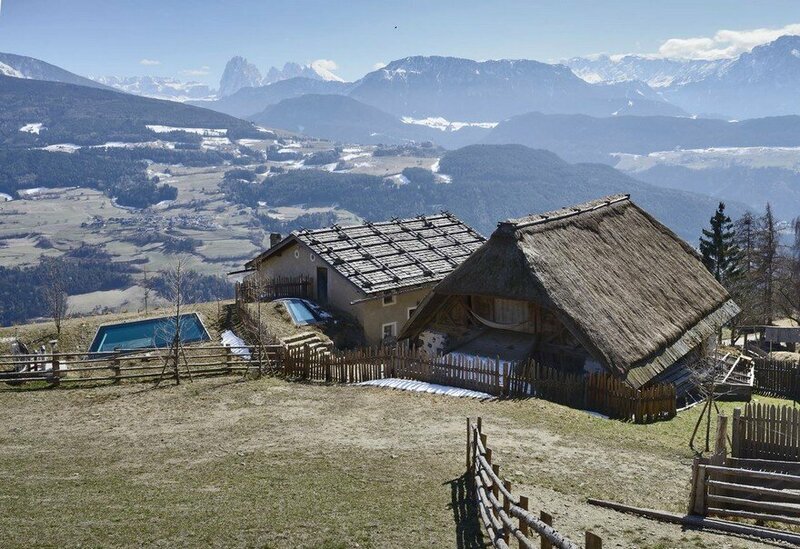 The residential house – with its stone-weighted wooden shingle roof and the shed, with its impressive steep thatched roof – are both authentic representations of life in an earlier age. 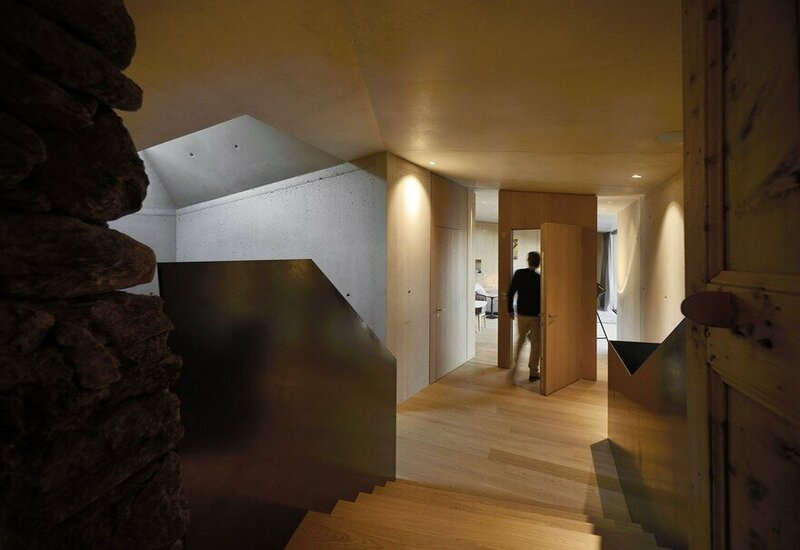 The topography of the plot offered an opportunity for new living areas partly underground. 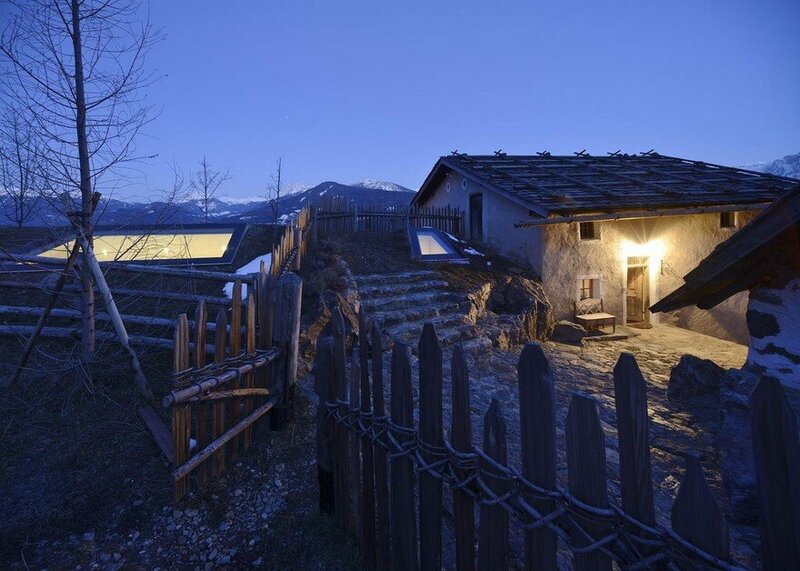 The new ‘brick-shaped’ building was designed to directly join the living floor of the existing house below the west-facing terrain, thus connecting old and new. 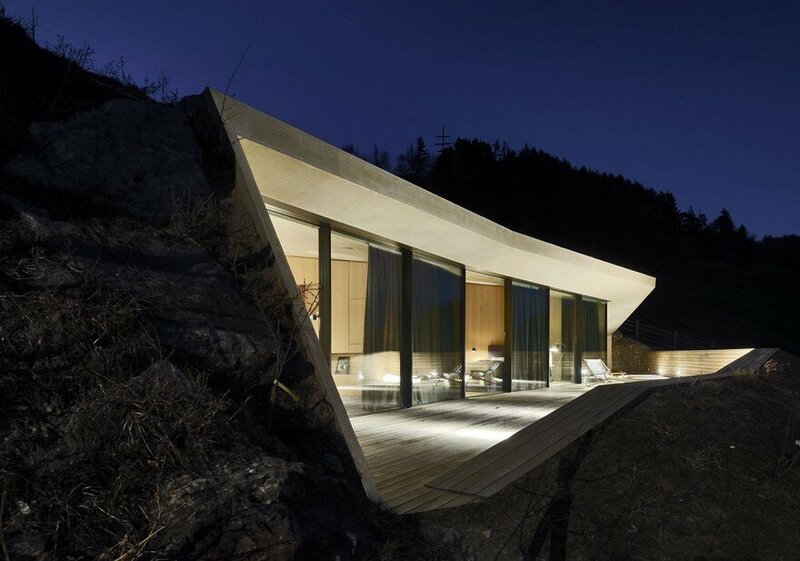 The resulting structure extends in a ‘brick’ shape from east to west and on the slope side is almost completely hidden within the mountain landscape. 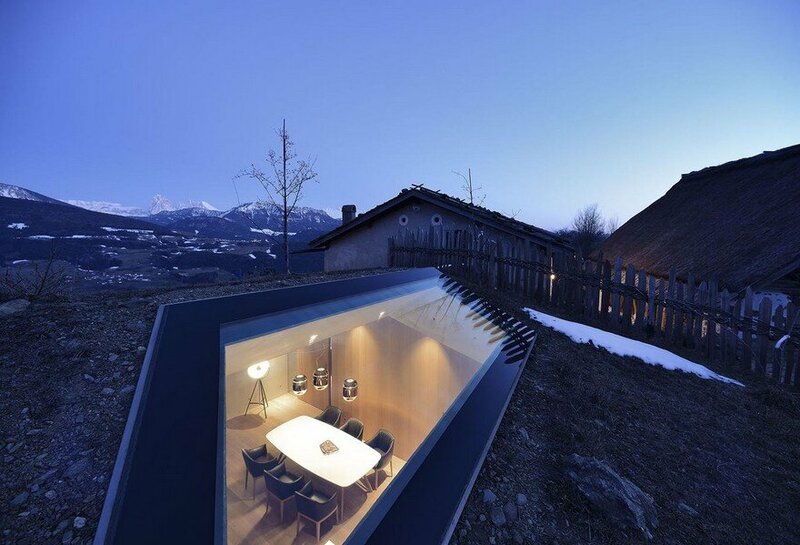 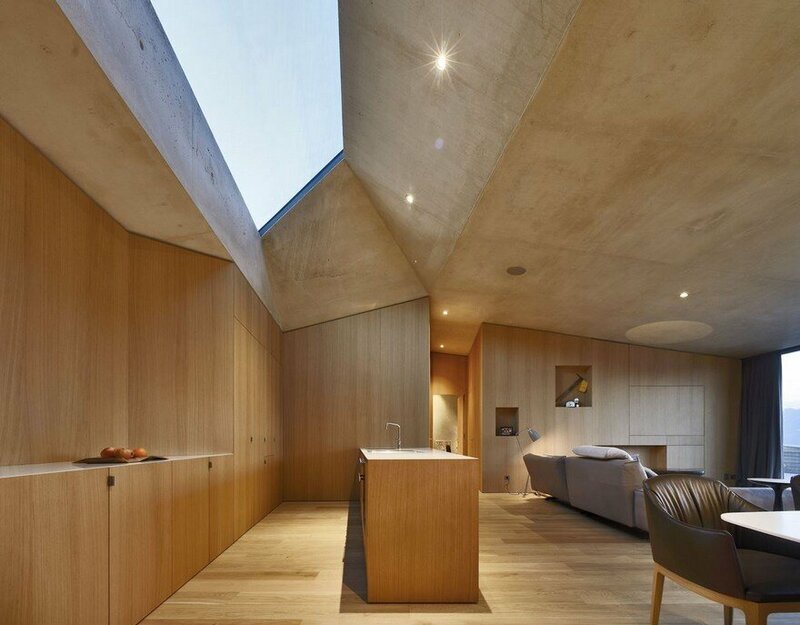 Only two skylights lying flush in the meadow point to the hidden underground cubature. 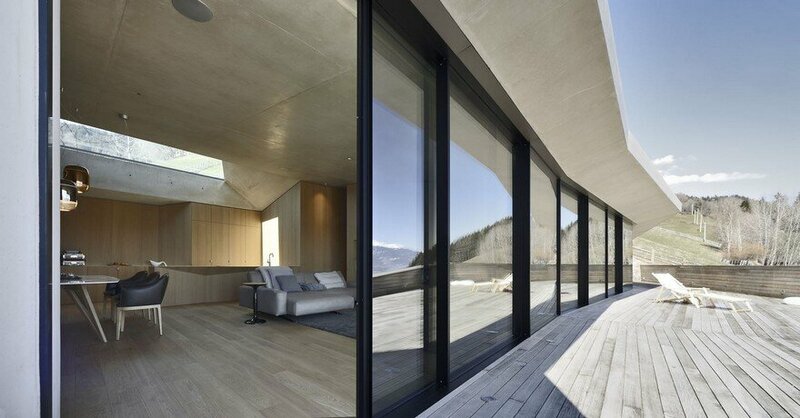 Towards the south, however, the building offers a powerful gesture: a concrete frame opens out the ground and the long glass frontage orients the residential area towards the valley. 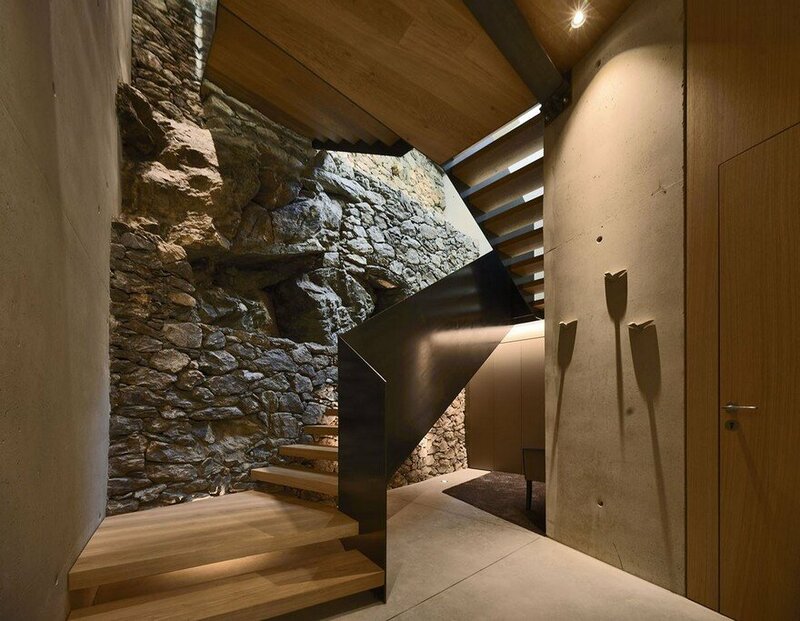 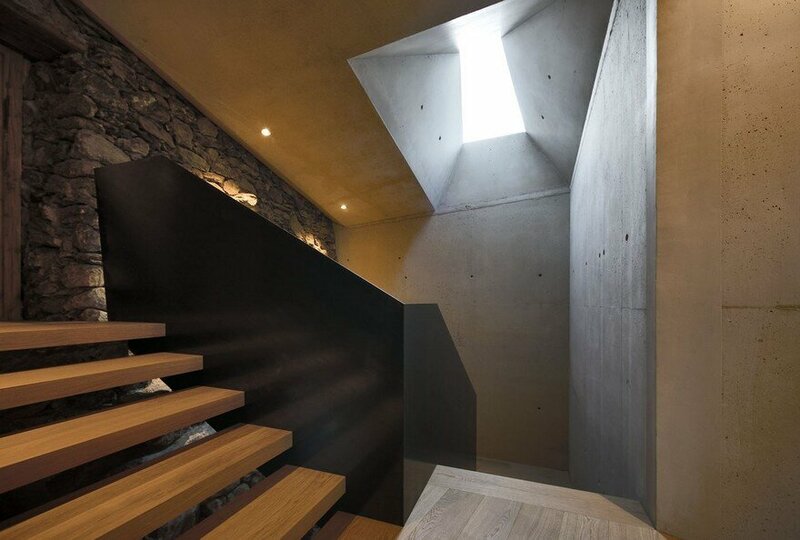 The staircase – which connects the old building with the new, and the garage floor with the residence – represents the intersection between history and modernity. 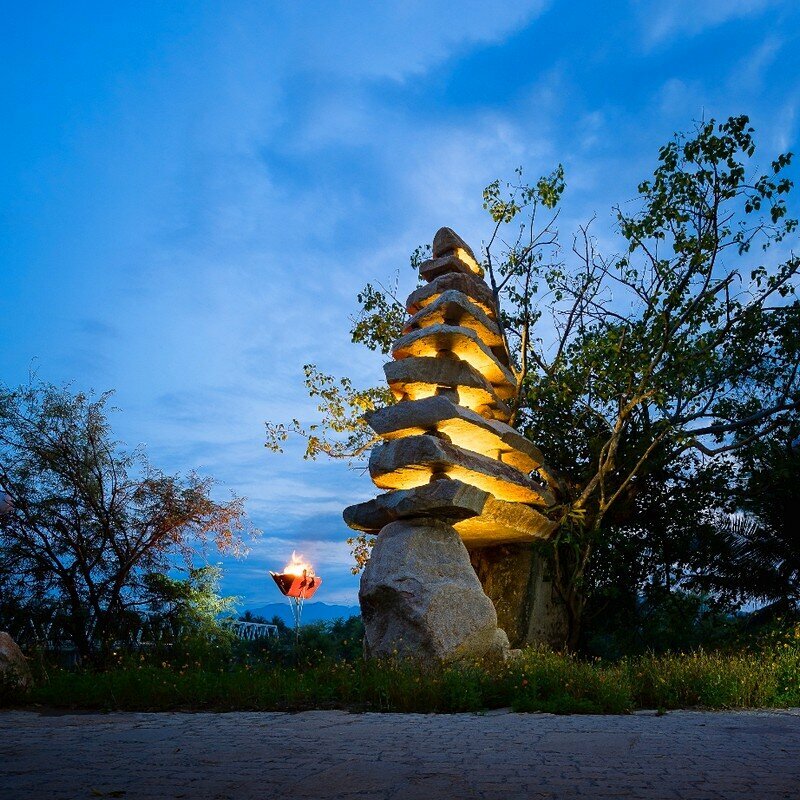 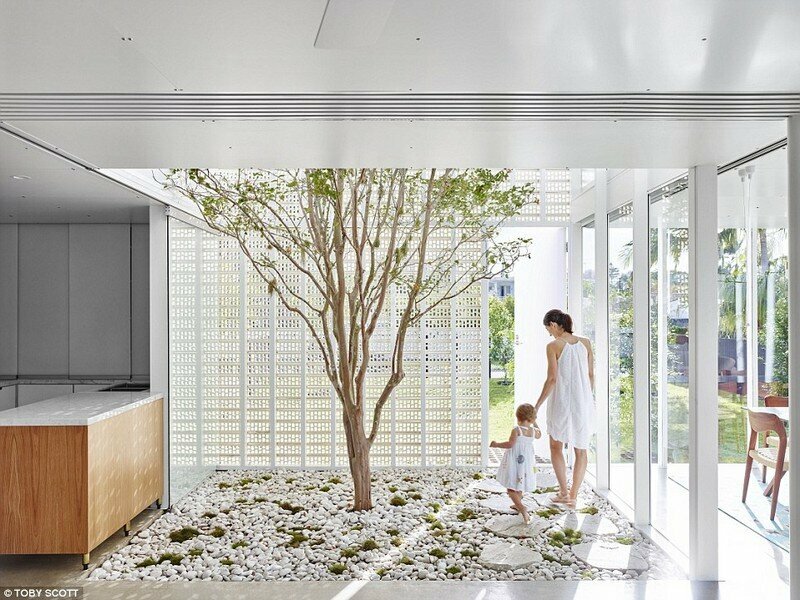 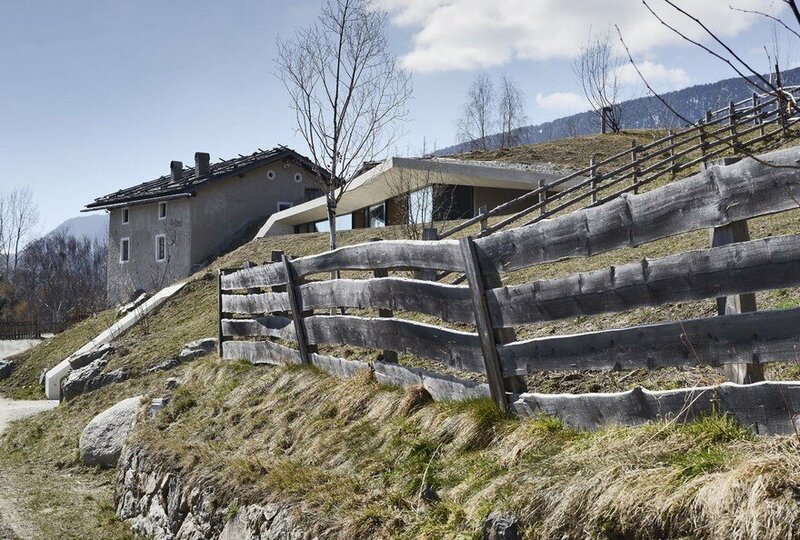 All the materials used give expression to this idea and fit with the surrounding landscape. 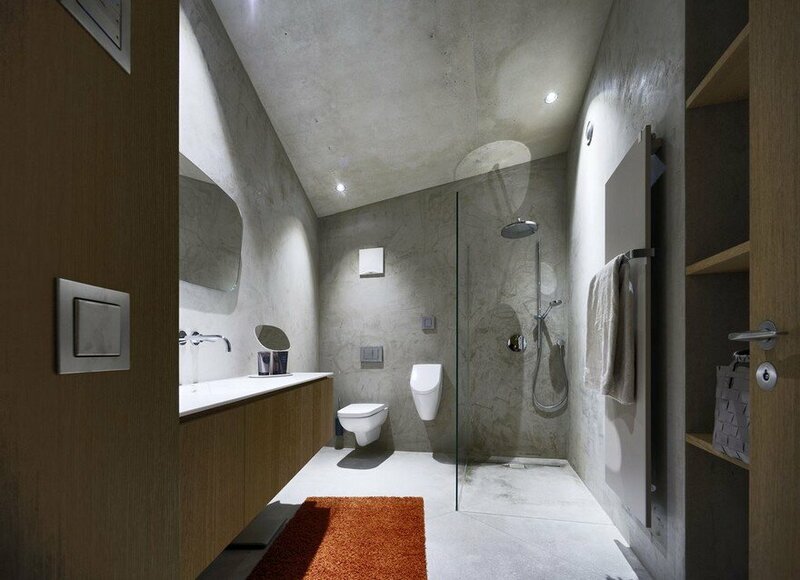 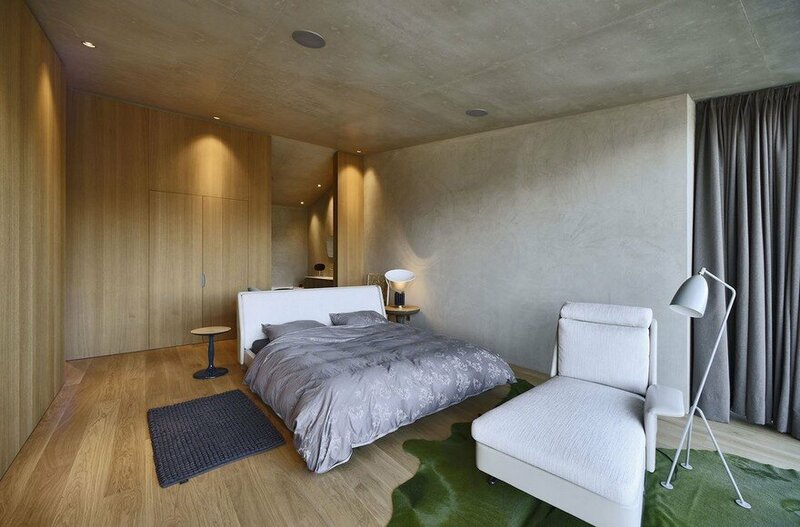 Natural stone, exposed concrete, steel and wood surfaces are the highly specialised choice made for the project. 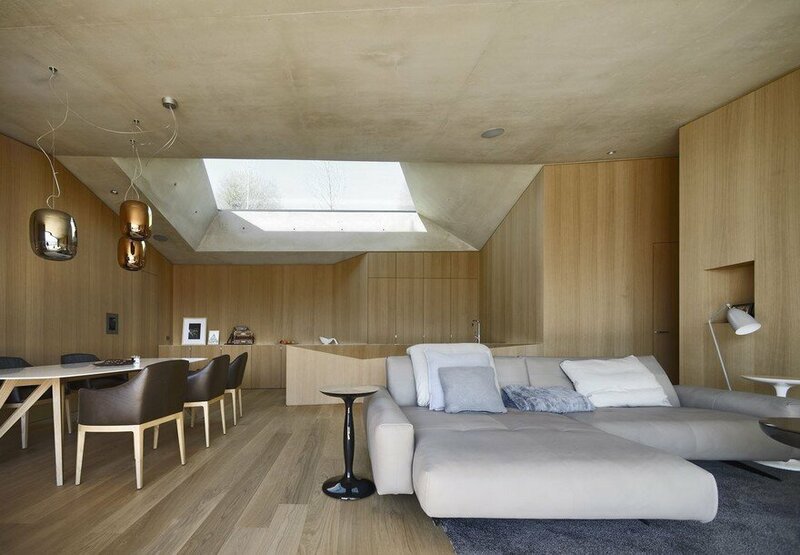 While the geometric ceiling of exposed concrete imitates the contour of the hilltop removed during construction, extensive use if made of wooden furniture and classic surfaces. 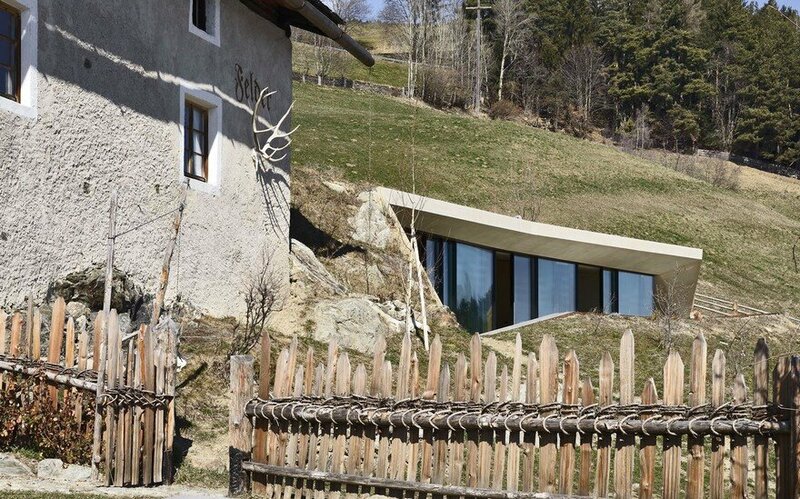 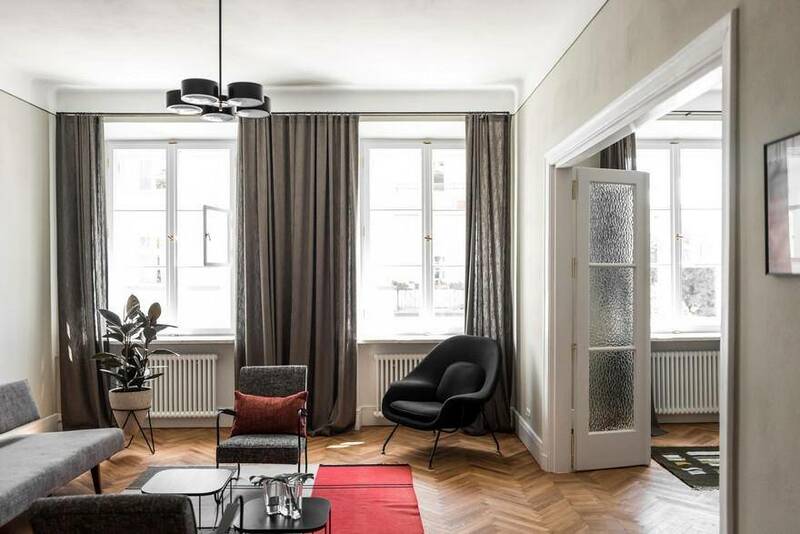 The creative extension of the Felderhof demonstrates how a historic building can be augmented by a modern, high-quality residential component without disturbing the original character of the protected structure. 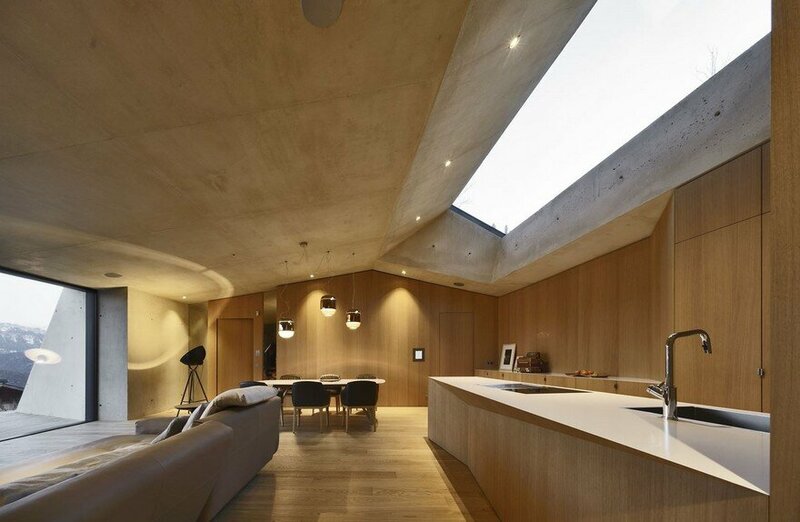 Through this technique, the new creative extension and the old building enter into an exciting, complimentary discourse.